I love eating out, and so when locally owned Red’s Table opened up in South Lakes Village Center, I was thrilled. 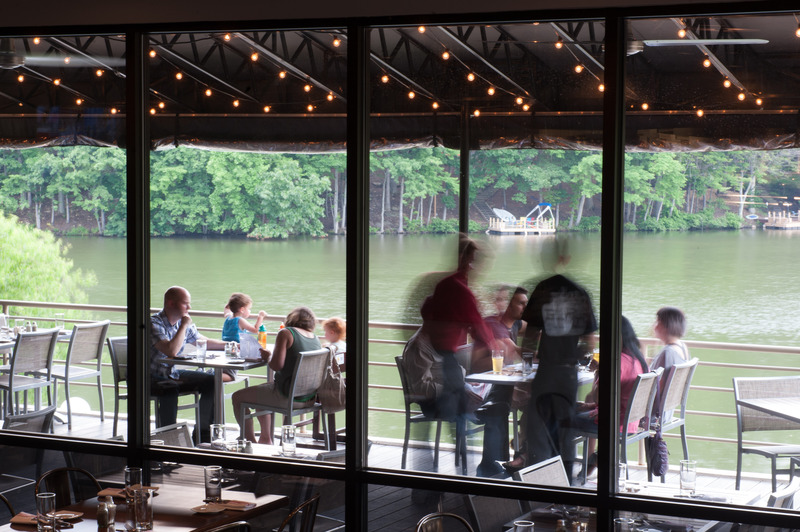 The restaurant space is one of the best in Reston—from the covered patio, diners have a view of Lake Thoreau. It is magical. From baking their own bread to making their own mustard, Red’s Table pays attention to the details, and it shows in the food. Oh the food is so tasty! Owners Matthew, Patrick and Ryan Tracy are Reston locals—they actually went to South Lakes High School, and like spent many a day down at the dock by Red’s patio. When they had the opportunity to take the space over and create their dream restaurant, they knew they needed the right chef to bring it all together. Enter Chef Adam. He also grew up in the area, and then traveled a bit while attending culinary school and cooking in some great kitchens. He brought together everything he learned to create the menu that Restonians have quickly come to adore. As the weather starts to cool, spending an evening on the patio is definitely something to put on your to do list. Red’s Table is open daily from 11 a.m. until Midnight. They take reservations, which is always a good idea because this place is rocking! Click here to reserve your table. PHOTO CREDIT: This photo is courtesy of the amazingly talented Astri Wee, a Reston local who specializes in family portraits and food photography.